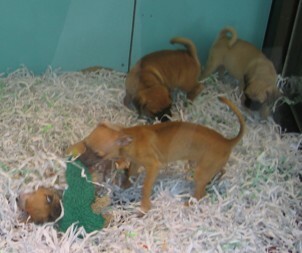 There are pet shops all over the place where I live and everyday I torture myself by going to look at the puppies. I would love to have a dog. But I live on the top floor of a walk-up and between that and the cats, I don’t think it would be a good idea. So, instead I make myself miserable by looking at all the cuteness that I can never possess. This is a window full of puggles on 6th Avenue. Sigh. Well, today I’m going out to Long Island to do one of my most favorite things in the world. I’m going to visit a police warehouse to see what they’ve been storing since 1925. I have 3 dogs, but I still torture myself by surfing Breeder’s Club & local Humane Society’s websites. I want them all. I keep hoping you’ll do a photo book of all the stuff you find in basements and warehouses. I wonder if there is an animal shelter near you where you could spend some quality time with the dogs? I volunteer weekends walking shelter dogs and it’s fun and it makes me feel good about giving the dogs some quality time in their lives while they wait for adoption. I volunteered for one day at an animal rescue organization. It was not a good experience, although that was because this particular group of people were just plain … troubled. It’s a good suggestion generally though (but I over-empathize with animals and tend to get too upset).